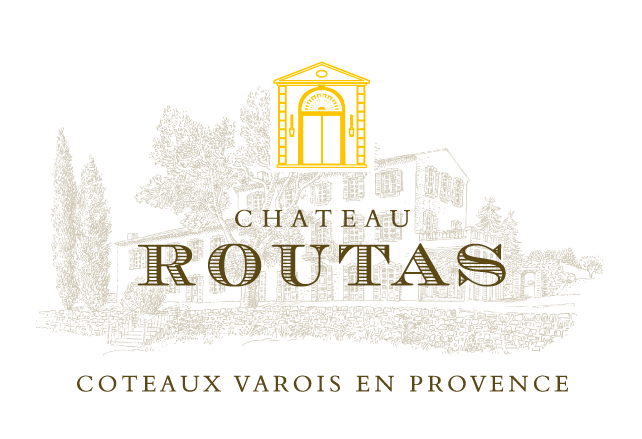 Chateau Routas is a 42h vineyard at the heart of an organically farmed estate high up in the Provencale hills. The location of Routas is spectacular; in the heart of Provence, equidistant from the French Riviera on the Mediterranean coast and the foothills of the Alps. It is surrounded by tiny medieval villages that cling to steep cliffs and overlooks miles of spectacular hillsides, woods and rivers.Currently 20,000 cases are produced of Rhone-style, estate-grown and bottled wines that have been met with positive comment since their first vintage in 1992. In 2005 Scotland’s Sir David Murray took ownership, ushering in a new era for Chateau Routas. Winegrower: Jean-Louis Bavay, ex Domaine Ott. This lightly tinted Rose is both fleshy and delicate with soft strawberry-fruit flavors, rose petal bouquet and a peppery mint finish. As crisp as the crack of colliding petanque balls and as fresh as the first plunge into the surf on a hot summer’s day.